Friday is here at last and so excited about the upcoming THREE day weekend. Yeah! Also so exciting was that I got my first entire fabric collection this morning. I love hearing my doorbell ring when I know that fabric is waiting for me on the other side. 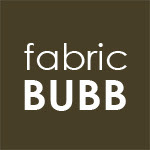 What was the fabric you ask? 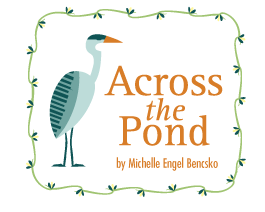 It is Cloud9's new line called Across the Pond by Michelle Engel Bencsko. 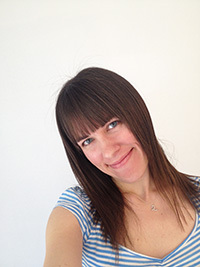 It is certified organic cotton and just so lovely. I really like the herons, butterflies and under water. But seriously as I am looking at the pictures to share with you, I am falling in love with the asters and english plantain. 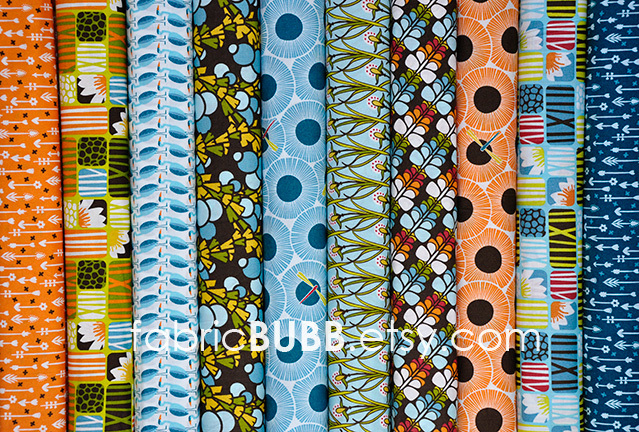 I also am loving how the banks will go so nicely with the larger prints for a quilt. Such a wonderful size variation. Anyway if you'd like to have some of your very own, I would be happy to cut any amount for you, just send me a message through Etsy. Happy Fabric Day!